The Harveys' family home in Kingsbridge Road, Newbury. Charles was born in East Woodhay in 1897 the youngest son of John Henry Harvey and his wife Sarah Ann née Blackford. The couple had six children in all, three boys and three girls. Charles’ siblings were John Albert (born 1890), Helen (1891), Adelina Rose (1893), James Oscar (1895), and Elizabeth Mary (1899). The family moved a lot, as evidenced by the birthplaces of the children (Basingstoke, Thatcham and Reading) before settling for a while in East Woodhay, where the final three children were born. Soon after Elizabeth’s birth in 1899 they moved again, to Enborne. There tragedy struck when little Elizabeth died aged only two. 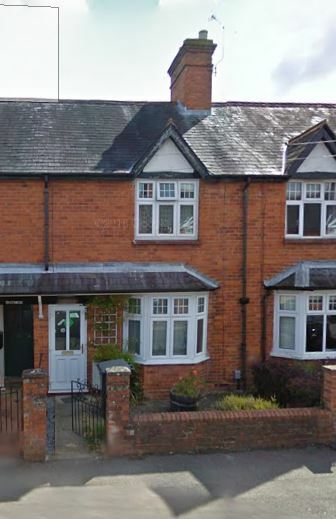 Their next move was to 13 Connaught Road, Newbury following which they moved to Gladwyns (now No 4), Kingsbridge Road. After his schooling Charles began his working life as a delivery boy for a local newsagent. On 27 November 1913 aged only sixteen he decided to join the army; the army took boys of this age using them as drummer boys or similar until they reached the age of eighteen, when they would be enlisted as adults. Charles evidently did not want to join as a boy; instead he added eighteen months or so to his age and told the recruiting sergeant that he was ’18 years 6 days’ old. Two days later he reported to the barracks in Winchester where he became a member of the King’s Royal Rifle Corps (KRRC) and was given the regimental number 11298. 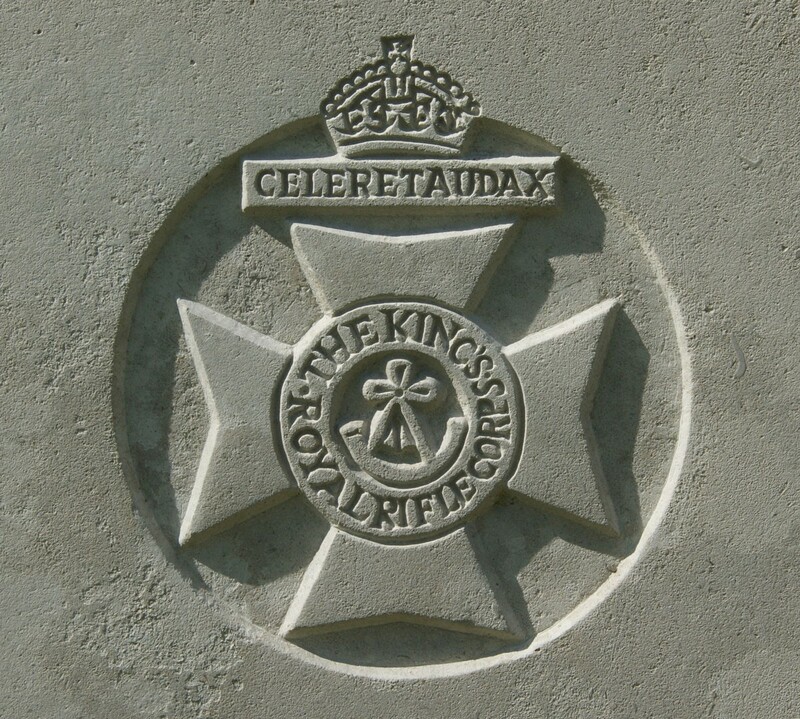 The regimental badge of the Kings Royal Rifle Corps, as used on CWGC headstones. By the time war was declared eight months later he would have completed his training, but he was not sent to France when the regiment’s 1st and 2nd Battalions left as a part of the original British Expeditionary Force on 12 August. It is possible that it was thought that he was not yet ready, perhaps his true age was suspected (it was policy that soldiers under nineteen years of age would not be sent to combat). However, it was not long before he crossed the Channel landing in France on 14 January 1915 among a draft of reinforcements for the 2nd Battalion. This battalion was a part of 2nd Brigade in the 1st Division and took part in the Battles of Aubers Ridge and Loos in 1915. Following the latter engagement the 1st Division remained in the Loos area manning a section of the line with the various brigades and battalions taking turns to man the line, support or reserve trenches with rest and training periods between these tense and uncomfortable times. 2 killed 4 wounded by shell & aerial torpedoes. 2/Lt Wadner joined Bn. This short report is all the detail that remains of the circumstances of Charles’ death – he was one of the two killed in action (the other was William Henry Grasley from Birmingham). In loving memory of Rifleman, C W Harvey, youngest son of Mr and Mrs Harvey, of Kingsbridge-road, Newbury, who was killed in action in France May 15th, 1916, aged 19 years. The victory to be won. From his Parents, Sisters, and Brothers. Charles was buried in grave III.B.12 at St Patrick’s Cemetery, Loos. 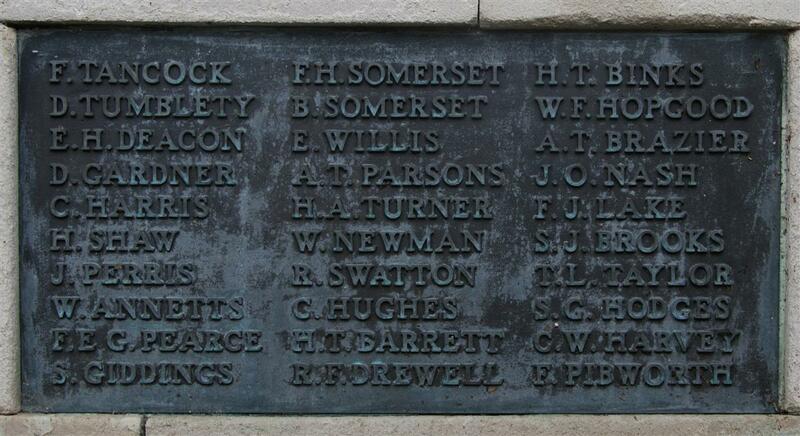 Locally he is remembered on tablet 13 of the Newbury Town War Memorial, as well as the memorial board and roll of honour in St Nicolas’ Church, Newbury. In ever loving and unfading memory of Rifleman C W Harvey, who was killed in action somewhere in France, May 15th, 1916, the youngest son of Mr and Mrs Harvey, Kingsbridge-road, Newbury, aged 19 years. Ever fondly remembered by his sisters and brothers. Still in our hearts he is loved by us all. He for his country played a noble part. He reaps the rich reward for England’s sake. From his sorrowing Father, Mother, Brothers, and Sisters.